In this 8 session introductory wax working class, you will learn to complete designs utilizing different wax carving and forming techniques. 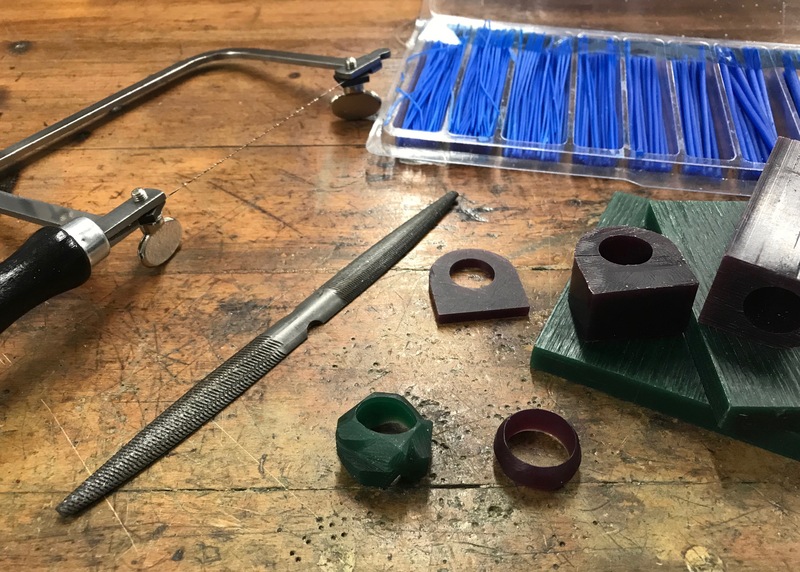 You will start by designing and carving a ring in hard wax while learning to use files, burs, and carving tools for subtractive sculpting. Further projects will introduce soft wire and sheet wax, modeling methods, joining, and hot tools. After having your designs cast in metal, you will be introduced to metal finishing skills including casting clean-up and patina. This course is open to beginning students. Introductory jewelry techniques will be taught. Metal casting for this class is outsourced and will be the responsibility of the student.